Of all the admirable churches in Troyes, Sainte-Madeleine is perhaps the oldest and certainly one of the most beautiful. It is mentioned as early as 1157 and its construction dates from 1120, but it was rebuilt around 1200 in a Gothic style that had recently emerged in France. Its apse and choir were renovated around 1500 in the Flamboyant Gothic style of the time. Its square Renaissance-style tower dates to 1525, as does the richly sculpted portal of the former cemetery located to the right of the entrance (today Jardin des Innocents). The church's main portal was refurbished in the 17th century and the nave was restored in the 19th century. Sainte-Madeleine is remarkable for its famous rood screen and the apse's stained glass windows, a masterpiece of exceptional finesse that all visitors admire. 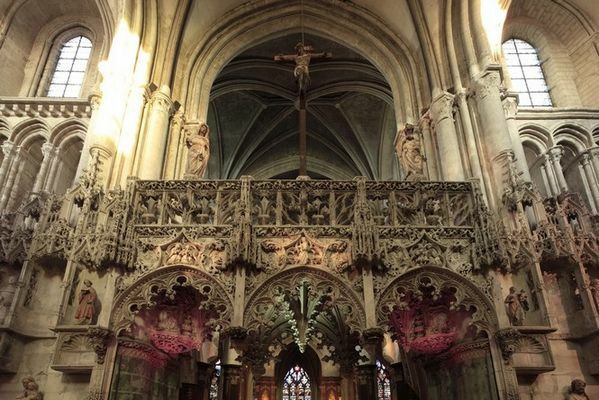 Only some one dozen religious buildings in France still have a rood screen, which is an elevated stone gallery between the nave and the choir with room for a choral or officiating priests addressing their flock. Around 1503, the clergy of Sainte-Madeleine called upon the region's artisans to replace the old wooden rood screen. At the same time, the chapter of the Cathedral of Troyes sought an architect to build its portal. 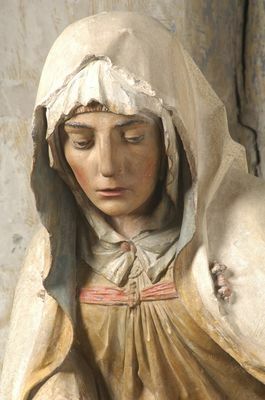 The project submitted by Jean Gailde, who worked on the construction of the Sainte-Madeleine choir, was turned down, but he was selected to do the rood screen. People said he wanted to avenge his eviction by the canons by pulling out all the stops in his creation of the stone lace on display here today. He was both a designer and a sculptor and at his death was buried under his masterpiece. The rood screen was originally polychrome but was whitened like all the church walls during the 18th century. The church's choir has superb examples of the Troyes school of stained glass windows from the start of the Renaissance, characterized by a highlighted design, striking colours and great technical refinement. 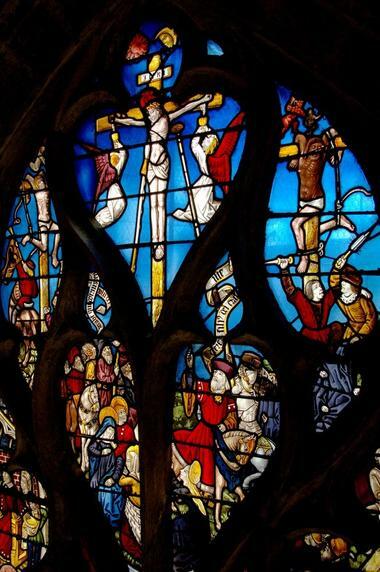 Be sure to see the beautiful Tree of Jesse (from the start of the 16th century), The Genesis, and the Pearls of Saint Eloi, a stained glass window done in 1506 by Nicolas Cordonnier for this corporation, whose detail is reminiscent of the work of a silversmith.